Just the other day, I read something written by one of our local mayors calling for bail reform because a certain person had been released on what she believed was an insufficient bail amount. This got me thinking about our system of bail in Texas and the real purpose behind the system. I doubt I’ll ever convince the mayor that we ought not to punish people before they’ve had their day in court, but I thought it best to lay out the history and purpose of bail in case she ever wants to know. The purpose of bail in the criminal justice system has been convoluted throughout the years, leaving many people with a fundamental misunderstanding about what bail actually is and the purpose behind it. Often people think bail is just another form of punishment (i.e. “Let’s lock him up and throw away the key!”), when in reality it should be the exact opposite. The use of bail allows a defendant to be released and have the ability to prepare the best defense possible for trial. At the moment that bail is set, the person is presumed innocent. So what exactly is bail? What is the overarching purpose? How is the amount of bail determined? Under both the United States Constitution and the Texas Constitution, generally, criminal defendants have a right to bail and to be free from excessive bail. Tex. Const. art. I §11, §13. With that, while all non-capital crimes are eligible for bail, bail can be denied in several situations under the Texas Constitution and it is at the judge or magistrate’s discretion whether to grant bail where defendant has been charged with capital murder. Tex. Const. art. I, §11; Bill of Rights; Judiciary Act of 1789. The defendant can pay the court cash in the amount of the bond. Id. A personal bond is when there is no surety and no money paid when the defendant is released and the defendant will be responsible for a set amount if they do not appear. Art. 17.03. What is the Purpose of Bail? Congress stated that, historically, the sole purpose of bail was to secure defendant’s presence in court. 110 H.R. 2286. The purpose remains the same, to reduce flight risk but also to give the defendant the best opportunity to prepare for trial. Stack v. Boyle, 342 U.S. 1 (1951). Essentially, the idea behind bail is that if a person puts down a chunk of money they are less likely to flee. Riverside v. McLaughlin, 500 U.S. 44 (1991). 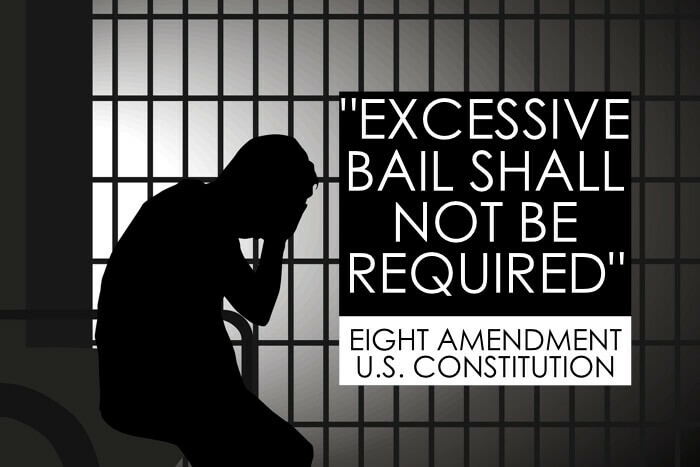 In no way should bail be a form of punishment for the defendant and the Eighth Amendment makes it clear that bail shall not be excessive. Further, being released on bail does not prove guilt nor affect the presumption of innocence. A person remains innocent until proven guilty when granted bail. United States v. Houston, 26 F. Cas. 379. How is Bail Set in Texas? The bail set must be “sufficiently high” so as to reasonably ensure the defendant’s appearance in court. Bail must not be an “instrument of oppression.” Which essentially means bail is not to be a form of punishment. The nature and circumstances of the offense are to be considered. The defendant’s ability to make bail will be considered. The future safety of the community and victim of the alleged offense must be considered. The court is also allowed to look to other factors including criminal history, family ties, and links to the community. Gonzalez v. State, 996 S.W.3d 350. If bail is set in an amount that the defendant cannot make, the court will hear evidence on that issue and will lower it if the amount was found improper or excessive under the rules and/or the Constitution. If the court refuses then the defendant can also appeal before trial. Id. If you were to compare the standard bail amounts from county to county across Texas for similar criminal allegations, you would probably find that Tarrant County is on the lower side. Johnson County and Parker County might set a higher bail amount for the same or similar case. This does not mean that Tarrant County’s bail system needs to be reformed. Clearly, if Tarrant County began to experience more folks not showing up for court, then the bail might go up (and it does in each individual case, when the defendant proves himself to be unreliable in appearing for court). Before any public officials begin calling for reform in Tarrant County, I would suggest that we determine whether, in fact, the system is broken, or if, perhaps we are trying to subject a defendant to pretrial punishment with excessive bail. Public Service Announcement: Attorneys beware that your clients could be the target of a Bail Bond scam that is going around. 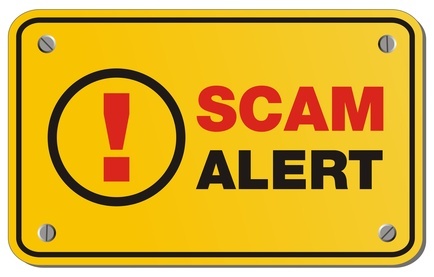 There is a person with a Florida phone number (352-210-7464) that is calling criminal defendants in the DFW area claiming to be a representative from their bail bond office. The caller then claims that the person (who is typically in good standing) owes some amount of money to the bail bondsman. The caller then threatens to go off the bond if the person does not pay immediately. This happened to one of our clients yesterday and we called the number to investigate and quickly uncovered the scam. Please let your clients know that this is going around so that they are not fooled if they get a similar call.